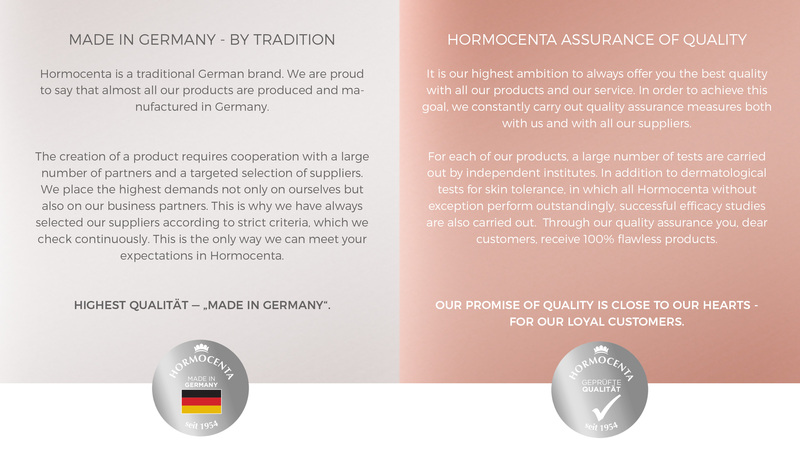 HORMOCENTA – the German beauty brand with tradition. 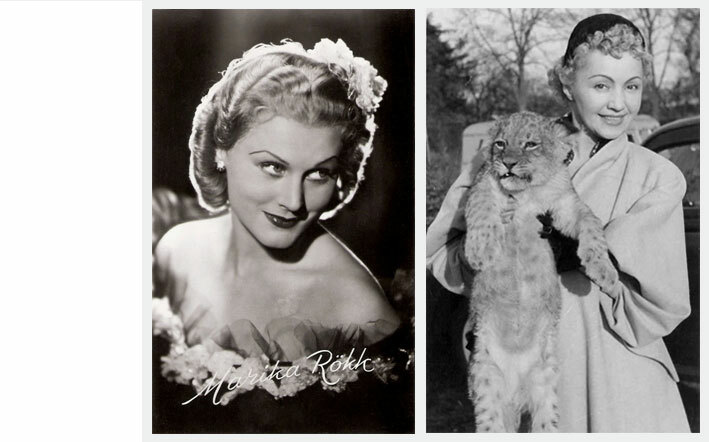 Our history goes back a long way – since our foundation in 1954, it has been our goal to revitalize and preserve natural beauty. We are convinced that beauty consists of the balance between inner radiance and outer care. The individual needs of the skin and daily environmental influences motivate us to develop high-quality, caring and regenerating products. In order to meet our and your quality requirements, we attach great importance to the best ingredients. We obtain these from selected suppliers who are subject to the strictest conditions. We are grateful for the many satisfied customers – over generations. This loyalty inspires us every day to use our experience and develop innovative new products. We are confident in our products and it is important to us to find and maintain a balance between effectiveness, price and manufacturing methods. The HORMOCENTA philosophy: beautiful every day. 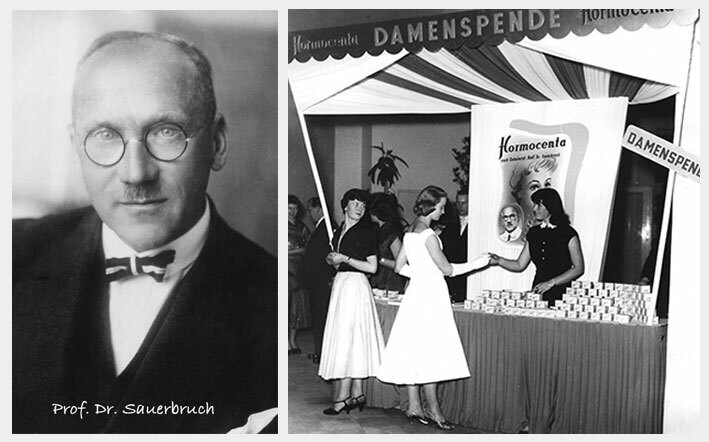 As one of the first post-war cosmetic brands, HORMOCENTA was established by Hygiena Institut Thober Thiele. The first Hormocenta lotion formula was created to reduce wrinkles and revitalise the skin. 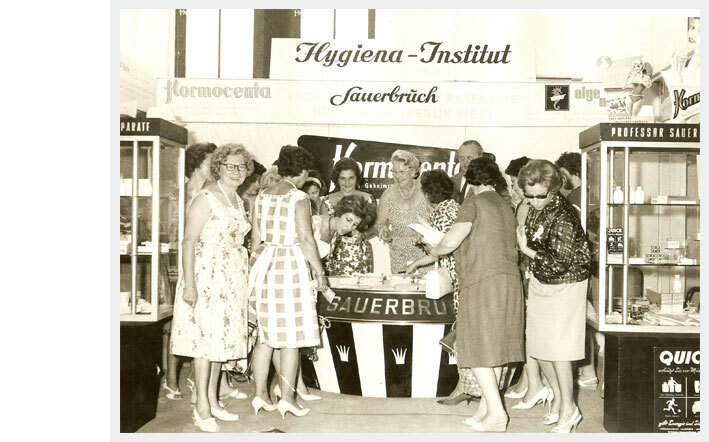 Two years after the launch the company was re-named as HORMOCENTA Hygiena Thober KG. First success was generated through the work of renowned Prof. Dr. Ferdinand Sauerbruch. He exclusively created the first formula for HORMOCENTA. He was also part of the large-scale marketing campaigns of that time. 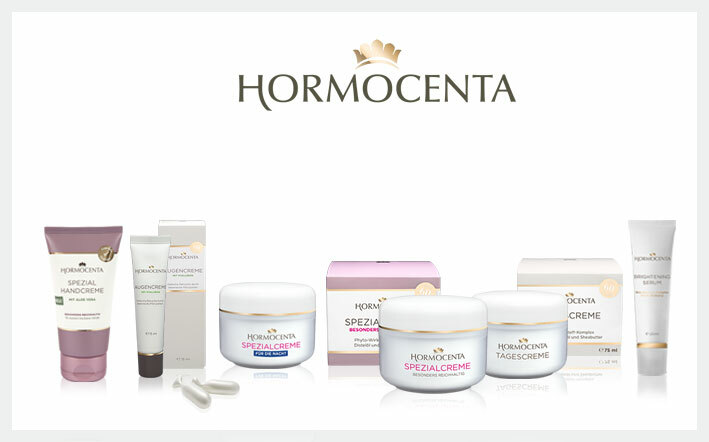 Through continuous improvement of his formulas over decades, HORMOCENTA has become a specialist for rich skin care products. 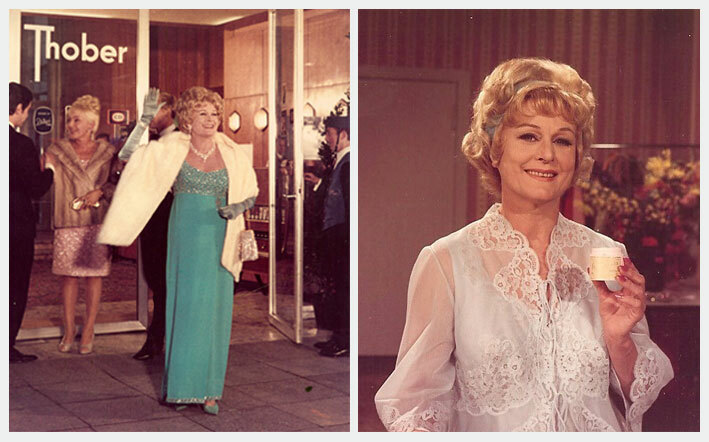 TV commercials with the celebrity Marika Rökk and the slogan ‘HORMOCENTA mocht jong!’ (HORMOCENTA makes you young!) the brand achieved cult status. For one decade Marina Rökk gave her testimonials and was a brand representative for HORMOCENTA. The authentic Marika shaped the brand’s image. Even today she is positively linked to the brand HORMOCENTA. In the 1980s and 1990s more and more large chain drugstores were opening nationwide. 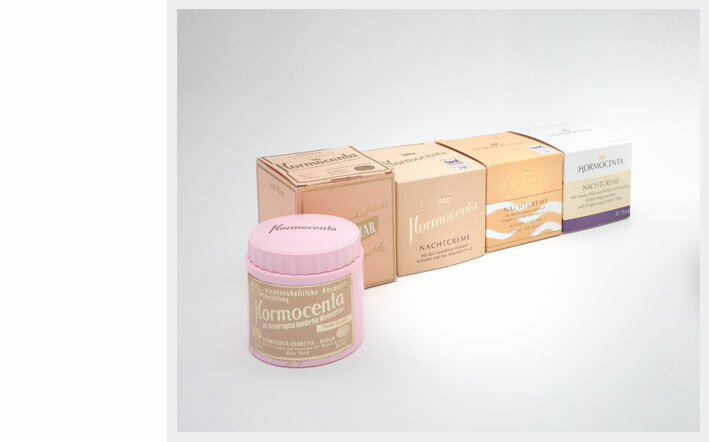 HORMOCENTA has its solid position in their shelves and they are unimaginable without it. The brand’s popularity was increasing due to representation in drugstores. The product range was expanded and adjusted. The innovative active "Photo-Agent-Complex" revolutionises our approved formulas in anti-aging skin care, developed over a period of decades. It consists of the scientifically confirmed active ingredients red clover and black cohash. HORMOCENTA is a classic one could not imagine a beauty shelf to go without. The brand celebrates its 60th birthday in 2014. As the slogan promises ’60 is the new 40’, the traditional manufacturer, located in Essen, Germany, with well-established and new products, remains to be stylish. Seit über 60 Jahren ist HORMOCENTA nun in Deutschland bekannt. Zeit für einen kleinen Neuanfang – HORMOCENTA launcht fünf komplett neue Serien mit differenzierten Schwerpunkten und Inhaltsstoffen. Zeitgleich werden die Klassiker grundlegend im Hinblick auf ein zeitgemäßeres Design überarbeitet und der alte HORMOCENTA-Duft wieder eingeführt.